Context: Ambubachi Mela, a four-day fair to mark the annual menstruation of the goddess is being held at Kamakhya temple in Guwahati. 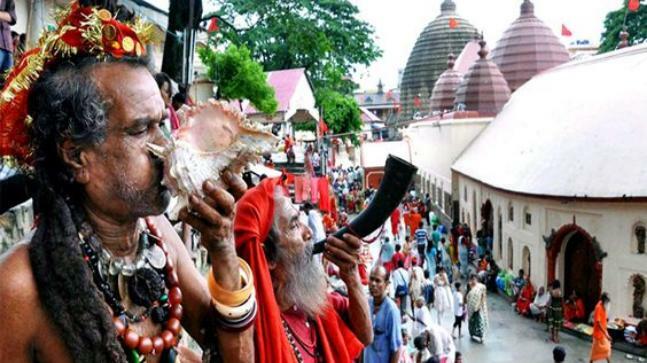 The Ambubachi Mela symbolises the fertility cult of goddess Kamakhya. There is no idol in the temple, the goddess is worshipped in the form of a yoni-like stone over which a natural spring flows. Also known as Siddha Kubjika, the goddess is a Hindu tantric goddess of desire who evolved in the Himalayan hills. She is also identified as Kali and Maha Tripura. The festival is also known as ‘Mahakumbh of the East’ as it draws lakhs of devotees from all over the world. The ritualistic fair celebrating the goddess’ period is one of the reasons why the taboo associated with menstruation is less in Assam compared with other parts of India. The attainment of womanhood of girls in Assam is celebrated with a ritual called ‘Tuloni Biya’, meaning small wedding. Ambubachi Mela serves as an occasion to promote awareness on menstrual hygiene. Kamakhya, atop Nilachal Hills in Guwahati, is one of 51 shaktipeeths or seat of Shakti followers, each representing a body part of the Sati, Lord Shiva’s companion. For Prelims: Ambubachi festival and Nilachal Hills. For Mains: Significance and the role of festival in promoting awareness on menstrual hygiene. Topic: India and its neighbourhood relations. Context: India is trying to make Chabahar Port in Iran operational by 2019 despite a threat of renewed US sanctions against Tehran. 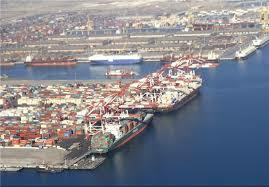 The Indian-backed Chabahar port complex in Iran is being developed as part of a new transportation corridor for land-locked Afghanistan that could potentially open the way for millions of dollars in trade and cut its dependence on Pakistan, its sometimes-hostile neighbour. For Mains: Significance of the port. Context: The U.N. has released its annual checkup report on the SDGs, accompanied by a call from U.N. Chief António Guterres that, “we must inject a sense of urgency” in making good on the ambitious 2030 development agenda. The SDG Report presents an overview of progress toward achieving the Goals, which were unanimously adopted by countries in 2015. Concerns: Progress on the Sustainable Development Goals remains uneven, and is not moving fast enough to meet the ambitious 17 goals on poverty, health, and equality by 2030. Challenges: A fast-changing climate, conflict, inequality, persistent pockets of poverty and hunger and rapid urbanization are challenging countries’ efforts to achieve the Sustainable Development Goals (SDGs). The hunger challenge: There are now approximately 38 million more hungry people in the world, rising from 777 million in 2015 to 815 million in 2016. According to the report, conflict is now one of the main drivers of food insecurity in 18 countries. Sanitation and Health: In 2015, 2.3 billion people still lacked even a basic level of sanitation service and 892 million people continued to practice open defecation. In 2016, there were 216 million cases of malaria compared to 210 million cases in 2013 and close to 4 billion people were left without social protection in 2016. The under-five mortality rate dropped by almost 50% and in the least developed countries. On SDG 2 (zero hunger), the number of hungry people in the world has risen from 777 million in 2015 to 815 million in 2016, mostly as a result of conflicts and disasters and droughts linked to climate change. In 18 countries, the report finds that conflict is a main driver of food insecurity. On SDG 4 (quality education), more than half of children and adolescents are not meeting minimum proficiency in reading and mathematics, with disparities persisting along gender, urban-rural and other divides. On SDG 6 (clean water and sanitation), in 2015, 2.3 billion people lacked a basic level of sanitation, and 892 million people practiced open defecation. On SDG 11 (sustainable cities and communities), 91% of the global urban population breathes air that does not meet the World Health Organization’s (WHO) air quality guidelines for particulate matter. On SDG 14 (life below water), global trends suggest declining marine fish stocks and deterioration of coastal waters, due to pollution and eutrophication. On SDG 15 (life on land), the report finds that the world’s forest areas continue to shrink. On SDG 16 (peace, justice and strong institutions), more than 570 different flows involving trafficking in persons were found between 2012 and 2014. On SDG 17 (partnership for the Goals), official development assistance (ODA) for capacity building and national planning has been stable since 2010. Transitioning towards more sustainable and resilient societies requires an integrated approach that recognizes that these challenges—and their solutions—are interrelated. As the global community moves forward to achieve the SDGs and address existing challenges, reliable, timely, accessible and disaggregated data is critically needed. This requires technology and innovation, increased resources and political commitment to build strong data and statistical systems in all countries. For Mains: Significance and efforts towards achieving SDGs. Context: Union Power Ministry has launched a campaign to promote energy efficiency in the area of air-conditioning. This initiative is launched on voluntary basis to increase awareness and encourage consumers to adopt the guidelines. It will save energy and reduce greenhouse gases. After an awareness campaign of 4-6 months, followed by a survey to gather public feedback, the Ministry of Power would consider making this mandatory. If all the consumers adopt, this will result in savings of 20 billion units of electricity in one year alone. Under the guidance of Ministry of Power, the Bureau of Energy Efficiency (BEE) has carried out a study and has recommended that the default setting in the air-conditioning should be at 24 degree Celsius. Manufacturers have also been advised to keep the default setting of air conditioners at 24 degree Celsius and also to carry out labelling indicating the optimum temperature setting for the benefits of consumers both from financial and their health points of view. These temperatures setting will be in the range of 24-26 degree Celsius. Bureau of Energy Efficiency (BEE) was established in March 2002, as a statutory body by the Government of India under the Energy Conservation Act 2001. It is responsible for spearheading the improvement of energy efficiency of the economy through various regulatory and promotional instruments. The primary goal of BEE is to reduce the energy intensity in the Indian economy. It coordinates with State level agencies and energy consumers to perform functions and exercise powers that may be necessary for efficient use of energy and its conservation in India. For Mains: Need for energy efficiency in air conditioning. What is it? UNISPACE+50 was held recently to celebrate the 50th anniversary of the first United Nations Conference on the Exploration and Peaceful Uses of Outer Space and highlight past and future Agency activities in support of the UN’s space-related actions. UNISPACE+50 was celebrated at the Vienna International Centre, bringing together the international community, and reflecting on the past and future of space activities around the world. It was a chance to assess results following the three prior UNISPACE conferences, held in 1968, 1982 and 1999, and consider how the future course of global space cooperation can benefit everyone on Earth. The event aimed at shaping the UN’s comprehensive ‘Space2030’ agenda. The Space2030 agenda will map out how spaceflight and space-related activities can help achieve the 17 Sustainable Development Goals (SDGs), addressing overarching, long-term development concerns, through the peaceful exploration and uses of outer space. The Office assists any United Nations Member States to establish legal and regulatory frameworks to govern space activities and strengthens the capacity of developing countries to use space science technology and applications for development by helping to integrate space capabilities into national development programmes. UNOOSA is also responsible for implementing the Secretary-General’s responsibilities under international space law and maintaining the United Nations Register of Objects Launched into Outer Space. UNOOSA is the current secretariat of the International Committee on Global Navigation Satellite Systems (ICG). For Prelims: UNISPACE + 50, UNOOSA. For Mains: Regulation of outer space. 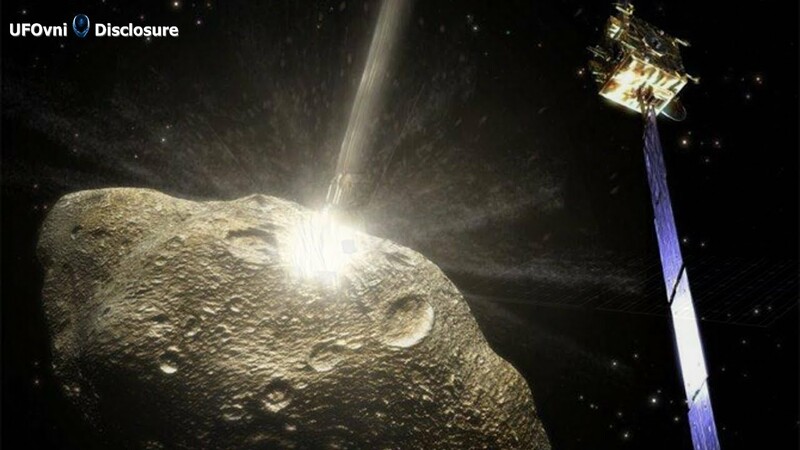 Context: NASA has released a report outlining the federal government’s response in the event that an asteroid or comet flying through space should ever impact Earth. “The National Near-Earth Object Preparedness Strategy and Action Plan” shows how the U.S. federal government would protect and prepare the planet for such an event, and outlines five strategic goals for reducing the risk of an impact. Enhance NEO detection, tracking, and characterization capabilities. Improve NEO modeling prediction, and information integration. Develop technologies for NEO deflection and disruption missions. Increase international cooperation on NEO preparation. Establish NEO impact emergency procedures and action protocols. Asteroid-hunting astronomers have already found more than 8,000 near-Earth objects measuring at least 460 feet (140 meters) across — large enough to wipe out an entire state if one were to hit the U.S. But asteroids that size make up only one-third of the estimated population of near-Earth asteroids. Smaller asteroid impacts may be less catastrophic, but they can still cause significant damage. NASA and its partners have identified more than 95% of all asteroids that are large enough to cause a global catastrophe, and none of those found poses a threat within the century. For Prelims: Action plan proposed. For Mains: Threats posed by asteroids. Context: Ministry of Women & Child Development has received the ‘Best Performing Social Sector Ministry’ SKOCH Award for its Achievements and Initiatives. The Skoch Awards celebrate human excellence and agents of change in Indian society. They are the highest independently instituted civilian honours in India. The Skoch Awards have become the only independent benchmark of best practices in India in the fields of governance, finance, banking, technology, corporate citizenship, economics and inclusive growth. 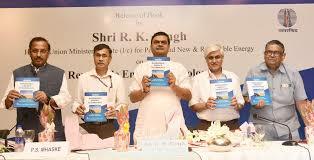 Skoch Consultancy Services is a think tank dealing with socio-economic issues with a focus on inclusive growth. Context: The government has announced the first Further Fund Offer (FFO) of Bharat 22 Exchange Traded Fund (ETF). This is in pursuance of its disinvestment policy targeting an initial amount of Rs.6,000 crore. Bharat 22 consists of 22 stocks of CPSE’s, PSB’s & strategic holding of SUUTI. Bharat 22 is a well Diversified portfolio with 6 sectors (Basic Materials, Energy, Finance, FMCG, Industrials & Utilities). The Bharat 22 Index will be rebalanced annually. ICICI Prudential AMC will be the ETF Manager and Asia Index Private Limited (JV BSE and S& P Global) will be the Index Provider.